Doris Sanchez oversees the Scientific Development team at MedSource and is a point of escalation to sponsors for services contracted under this team. Ms. Sanchez brings to the team over 21 years of clinical research and development experience. She has experience in both large CRO and pharmaceutical sponsor environments as well as niche CRO and biotech. While her career focus is in oncology, she has experience a number of indications and assets that are in niche and complex patient populations. 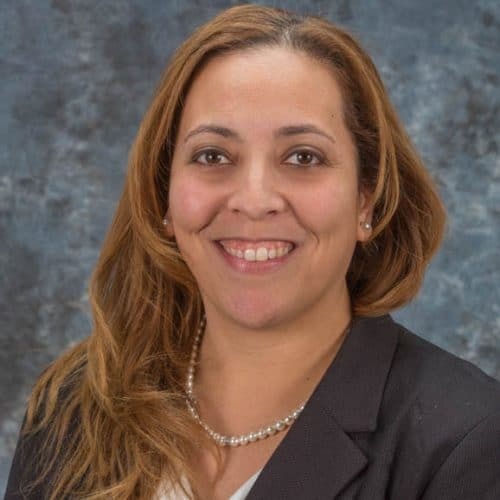 Ms. Sanchez also has experience across all phases of research and study designs and has thrived in creative and complex designs with the potential to accelerate a program. In her career, she has excelled across clinical research and development functions from CRA to study management and clinical research scientist work to the most recent success of overseeing a large cross functional senior team and building a framework and development strategy for an oncology pipeline and delivering the flagship INDs on time. Ms. Sanchez’s diverse clinical research and development experience will contribute to the success to sponsors’ programs.